On October 5, 2017 an agreement on strengthening of ties and promotion of cooperation in economic, scientific, educational, social and cultural areas was signed between the Government of Kaluga Region and the administration of Montpellier Méditerranée Métropole. The document was signed by Anatoly Artamonov, Kaluga Region Governor, and Philippe Saurel, President of Montpellier Méditerranée Métropole. 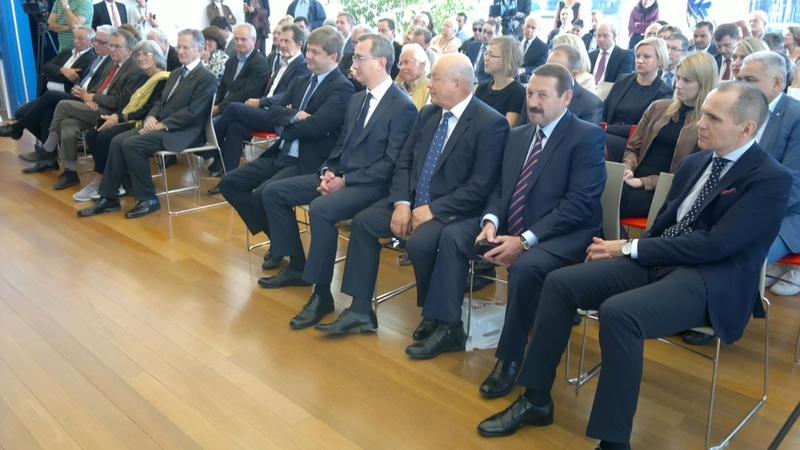 The ceremony was attended by Gennady Sklyar, Deputy of the State Duma of the Russian Federation, members of Kaluga Region delegation visiting Montpellier on October 4-7, 2017, as well as representatives of the French region authorities and public organizations. The authorities of Kaluga Region and Montpellier Méditerranée Métropole plan to promote the development of trade and business contacts between business entities, scientific, education and industrial institutions, as well as introduce information technologies to improve the quality of life. The cooperation plans include delegation exchanges to share best practices in the field of business incubators and technology parks, visits to science and practical conferences and forums dedicated to innovative infrastructure development. Apart from that, the agreement provides for cooperation in the field of energy efficiency technologies and urban development, and data exchange on environment protection issues, The cooperation plans also envisage tourist exchanges and promotion of tourism programs, expansion of cooperation between culture institutions, writers, artists, sportsmen. Speaking of the agreement Anatoly Artamonov noted: “We have been cooperating with Montpellier Méditerranée Métropole for over 20 years. Both parties are interested in cooperation in the field of science, technology, innovations and business. The signing of the agreement between our regions will further promote our relations and improve their status”. The Governor expressed his confidence that the partnership development will result in new important agreements. According to Philippe Saurel, the agreement signing is an important international event. He said: “Europe and Russia have common history, although they often disagreed on certain matters. I believe, there can be no strong Europe without Russia. And I always say this to our President”. Philippe Saurel called the relations between the regions the people’s diplomacy: “These relations unite cities and companies, scientists and innovators, doctors and all those striving to provide benefits and get new knowledge. Sometimes people forget about the fact that such relations help avoid conflicts between nations”. 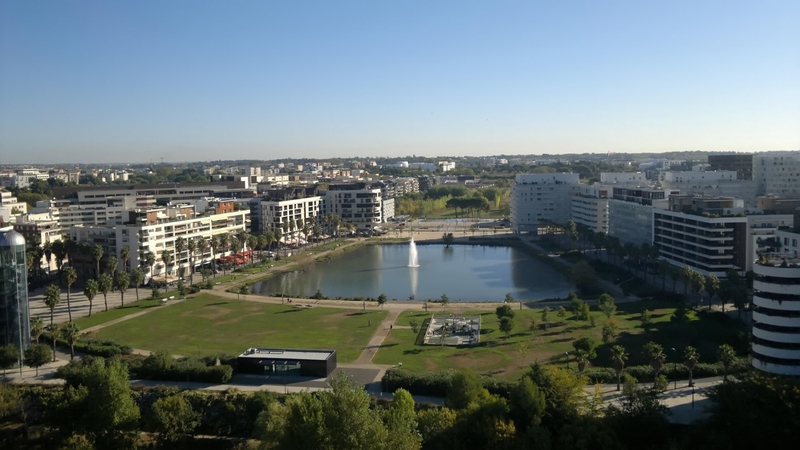 Montpellier Méditerranée Métropole – is one of the most developed French regions in terms of innovations, business attraction, science projects, development of university environment and the experience in the field of metropolitan areas’ development. 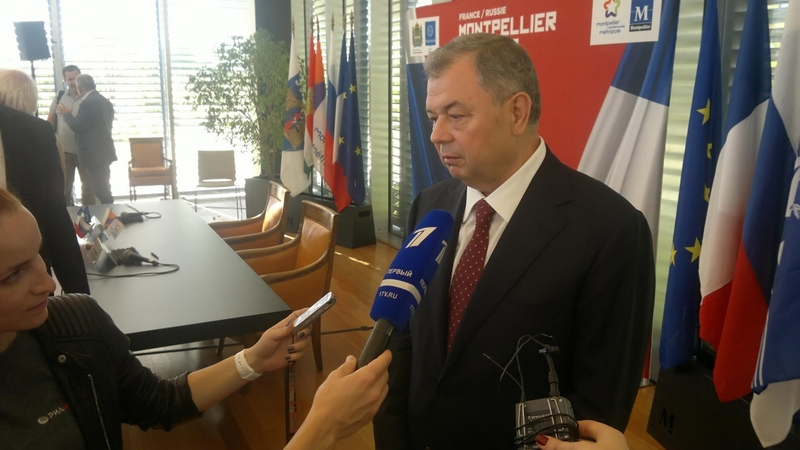 Kaluga Region has well-established relations with Montpellier. French Russian Institute for Business Administration (FRIDAS) was the first joint project. Its education programs and methods were based on experience of EUROCAMPUS Montpellier Academy Mercure, a private foreign trade university. Professional contacts have been established between education institutions, namely Obninsk College for Technologies and Services , and professional Lyceum maned after Jules Ferri, Obninsk Institute for Nuclear Research and Montpellier Technical University. There is a regular delegation exchange between Kaluga Region and Montpellier. 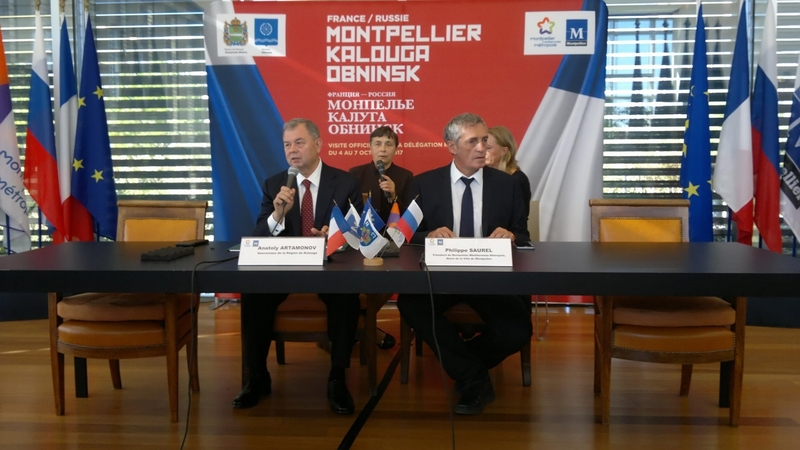 An agreement on cooperation has been signed between Montpellier Méditerranée Métropole capital and Obninsk administration, and the Agency for Innovative Development of Kaluga Region. Apart from that the Agency for Innovative Development of Kaluga Region and Kaluga Pharmaceutical Cluster cooperate with EURIBIOMED, the Association of Biopharmaceutical Companies. This is the largest French association of the kind. There are also bilateral business contacts between IT companies.